OK, bonus coverage time. This is part 3 in my series about Christian Baseball players. The plan is to share the story of at least one player on each big league team in the coming weeks. So far, I have been writing about players in the Western Division of each league. I have already shared a story of a member of the San Francisco Giants, but hey, I found another great representation of God’s work being carried out by another member of the Giants pitching staff, and so I want to draw your attention to it as well. I have an organization called Generation Alive! that focuses on my heart’s passion: seeing youth learn about the love of Jesus. I read and study a lot about global problems of poverty and slavery, and I want to stir a movement. I want to see all the churches in America devote themselves in faith to ending these injustices. I know we can do it. If God shows you a problem, he also shows you how to fix it. Join me in making this movement real. To check out more of his heart, and what he is up to, including a recent CNN interview about his passion to combat child slavery, check out his website/blog. The baseball season is a week old, and my beloved Red Sox are not getting any numbers put up in the right column yet. 0-6 start is not what I had in mind. Aren’t we glad that our favorite team’s success is not the be-all and end-all of our lives. There are more important things. It just doesn’t always seem like it. In any case, here is part two of my series on Major league baseball players and some of the cool things that God is leading them to do. We continue our trek through the Western divisions of both leagues. This time, with stops in Los Angeles and Oakland. I came across a story of LA Dodgers pitcher Clayton Kershaw. He was their opening day starter this year – the ace of their staff, and has been making a name for himself over the 2+ years that he has been pitching in the majors. He recently got married and he and his wife are actively supporting an orphanage in Zambia through an organization called “Arise Africa”. For more on his story, Click here or on his photo to the left. He spent some time in Zambia at the orphanage that he is supporting, and has vowed to donate $100 / strikeout this year to help them out. I will also link to arise africa’s blog and Kershaw’s Challenge so you can see for yourself the goals that they have set and the needs that are out there. I for one will be cheering for lots of strikeouts for Clayton Kershaw. And speaking of having an impact on the world around us. I want to draw your attention a little to the north of LA, to the Oakland area. The Dream began twelve years ago in the heart of Doug Bird, Senior Pastor of Abundant Life Fellowship in Roseville. When he drove through the city, he didn’t see a place, a safe haven, a youth center where young people could go and hang out. He did not see a place where young people could go and be inspired to live their dreams and achieve their goals. So the dream was set in motion and a first youth center was opened. 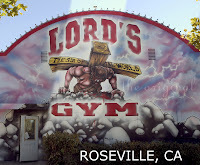 They now have 15 locations around the country, offering youth a place to come, work out, and encounter Christ. The Oakland A’s have joined in this outreach, promoting it, supporting it and seeing the important place it has in the area. You can check out some of the promotional videos, etc by clicking here. One of the faces on the videos, Eric Chavez, is no longer with the team. He signed on to play with the New York Yankees, but he also is taking an active part in influencing the youth of America through baseball by providing equipment and opportunities to play. Check out his website here to see what he is all about. As a Red Sox fan, It is hard for me to cheer for any yankee. But I think he has a great thing going on here and I support it by letting you know about it too! Well, here we go! Baseball season is upon us and my beloved Red Sox are the talk of the American League with all the changes they made (and money they spent). It is a long season, but I love the fact that the start is here – another reminder that winter is in the rear view mirror for the next few months. This will be the first entry in a series where I will find and share faith stories, encouragement and/or challenges of Christian athletes (specifically Major League Baseball players). Sometimes, we need reminders that the people that wear the uniforms and hold their “nation’s” collective hope for success and bragging rights in their hands, are humans too, trying to figure out their way through the adventure of life. So many people achieve fame and fortune, only to find that these things are not fulfilling. My goal with these videos and articles that I will link to is to see these men who know that there is more to life than the trappings of the world. They know that God has gifted them to be pro baseball players, and is asking them to be His witnesses, using the platform their fame provides to tell others about Him. First up, we will look at the two league champions that met in last years World Series. Check out this video from the World Series press day. Next, we will look into the other World Series dugout and hear the words of the San Francisco Giants’ eccentric closer Brian Wilson. His story brings him through tragedy, blaming God, and turning away from Him. Then, years later, going with a group of other players on his minor league team to talk to their team chaplain. His life turned around from there and he is living out his faith very publicly. He is known for being a little strange (part of what makes him so likeable) For more on his famous hand gesture (see picture on left) and the meaning behind it, click here. click here to go to the CBN news website. Let these stories encourage you. Pray for boldness for these men as they live our their faith in the public eye. And if you have stories or knowledge of Christians on your favorite teams, pass them along to me. I’d love to hear their stories and share there with others here. I last posted about the new movie Soul Surfer that is opening next week. Well, I was going to let that post stand alone, but something else was brought to my attention and so I will pass it along to you. Last night, I was talking to a friend that had read my post, and she told me of another movie about Christian Surfers – and there are a LOT of them. She loaned me the movie and my wife and I watched it last night. It is a very cool story about a pro surfer pouring into the lives of 2 young up-and-coming surfers. He takes them with him on a trip (or series of trips) to some of the best surfing spots on the globe. 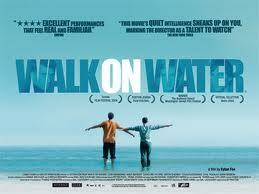 The movie is called Walking on Water check out the website and story here. It was quite good. It appealed to me on 2 levels. First of all, it gives several of the top surfers in the world a chance to share how important Jesus is to their lives and the hope that He gives them, even in the face of the hardships of life. And second, it appeals to me and my desire to travel all around and see the beautiful places and experience the amazing and different cultures that exist in God’s wonderful creation. It also taught me about a very cool missions organization. Christian Surfers International. Find their web site here. They are an organization that considers surfers largely as an unreached people group. They have set up an organization that will show God’s love to all areas of the surfing world. They want to empower Christian surfers to reach out to their local surfing community. Check out their website if you are interested. It is a pretty specific niche for outreach, and they are doing some pretty cool things as they bring Jesus into the surfing world with them. Thanks Amanda for finding this movie and bringing it to my attention. So how about you? What other cool mission niches have you come across? How is God calling you to use your passions, gifts and talents to bring Him into your world to impact the lives of others? I watch movies a lot and I am always up for watching more. I don’t really have a favorite genre – I’ve seen good (and bad) movies in all categories. One type of movie I do enjoy are movies that are based on true events. I know that often these are filled with fictionalized portions of the story. Sometimes the “true event” is a minor point of the plot and the main story, while completely fictional, is crafted around that small “true event”. I’ve even seen a “true event story” that was completely made up (Fargo). That being said, it is fun to get engaged in a story whose facts can be traced historically. I also love sports. Athletes have a mystique around them that makes people think of them as a breed apart. It is good to check out their life stories and see how “normal” they really are. Sometimes, this means that we see all parts of them, good and bad, flawed and heroic. It is a good reminder that none of us are perfect and we are all in need of God’s grace and forgiveness. And we all can take some responsibility to carry out the missions that God has given us. This brings me to a new feature that I will be starting in April. I am always encouraged when I hear of athletes who are using their platform of fame to talk about what God is doing in their life. To hear them understand that God has placed them in this spotlight and given them a chance to point to Him as the most important thing in their life is an encouragement to me to remain bold in my faith too. So I am going to start sharing these stories here too, in an effort to pass the encouragement and joy I get from their stories on to you. Watch for these stories to come at least once a week (my goal is twice a week – we’ll see how it goes). Most of them will be about athletes – since I am such a sports fan, but I may throw other stories I come across in too, occasionally. To begin, check out this story of Bethany Hamilton. She is a professional surfer who, as a teenager, lost an arm to a shark attack in her native Hawaii. A movie about her story is opening in theaters on April 6. This is the way she tells her story.